With parking for the duration of your holiday. This hotel is just 10 minutes from the airport and is great for business trips or leisure trips with your family or partner. The Great Room restaurant has something to suit everyone’s taste and there’s a bar where you can enjoy a drink before or after dinner too. Find a quiet and cosy spot to take advantage of the free wifi in the public areas or the comfort of your room. There are great air and rail links to this hotel, with Manchester airport and its train station being just 2 miles away. If you’re travelling by road, exit the M56 at Junction 6. Take the second exit at the first roundabout, and the first exit at the next one, then the hotel will be on your left. When you get to the traffic lights stay in the middle lane and leave the roundabout at the second exit. The hotel will then be on your left. If you’re driving to the airport, save time and money by booking your Manchester Airport hotel and the airport car parking for your entire trip together as one package. Not only does it mean you only have to make one booking, it also means you only have to hang on to one booking confirmation – which means one less thing to lose! What's more, we offer some great deals on hotels with parking included, so not only will you save some money on your parking, you might even get it for free! 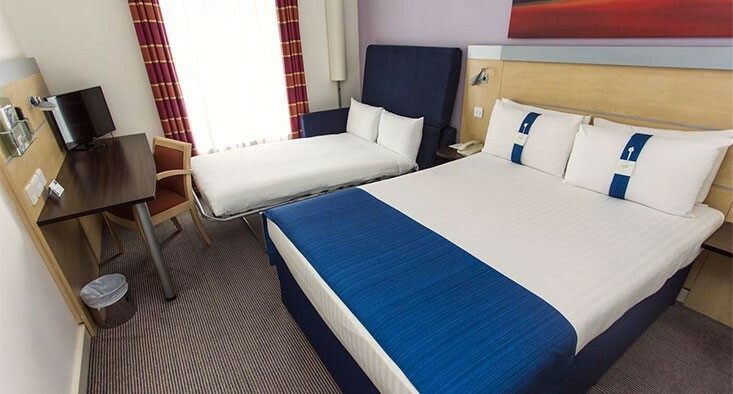 Prices start from around £76* for one night's airport hotel stay and one week's airport parking at Manchester Airport. To book, simply tick the 'With parking?' box at the top of the page and fill out the form as usual. *Terms and conditions apply. Available at the time of booking.